The Grey Wolf is the highest achievement in Cub Scouts. One of the requirements is to plan and lead a walk. This page records the Grey Wolf Walks, both to give an idea of the expected level, and to avoid doing the same walk twice. It was a fine morning at around 9:30am when I started my Grey Wolf walk with Chloe, Erin, Luca, Jessica, Skipper, Bagheera, Ouma (my grandma) and Aunty Kate. The skies were light blue with no clouds and it was 10 degrees. 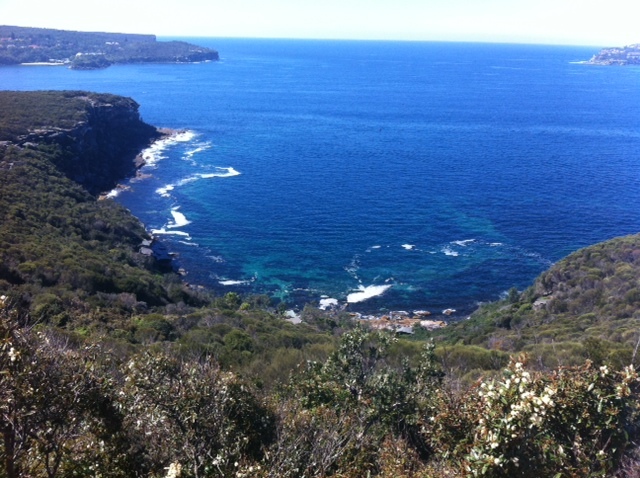 We met at the bottom of Narrabeen Headland and we walked up a lot of stairs. When we got to the top, I showed everyone where we had the last walk on the other headland at Long Reef. 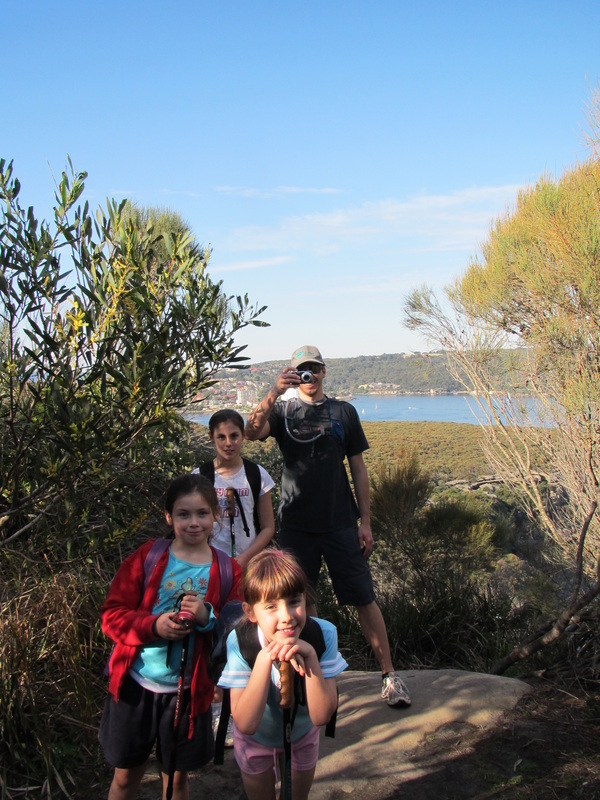 We kept going on until we found a picture spot overlooking Narrabeen Lagoon. We started heading upwards towards the headland and then we kept going over until we saw another picture spot which was looking up to Turimetta Beach. 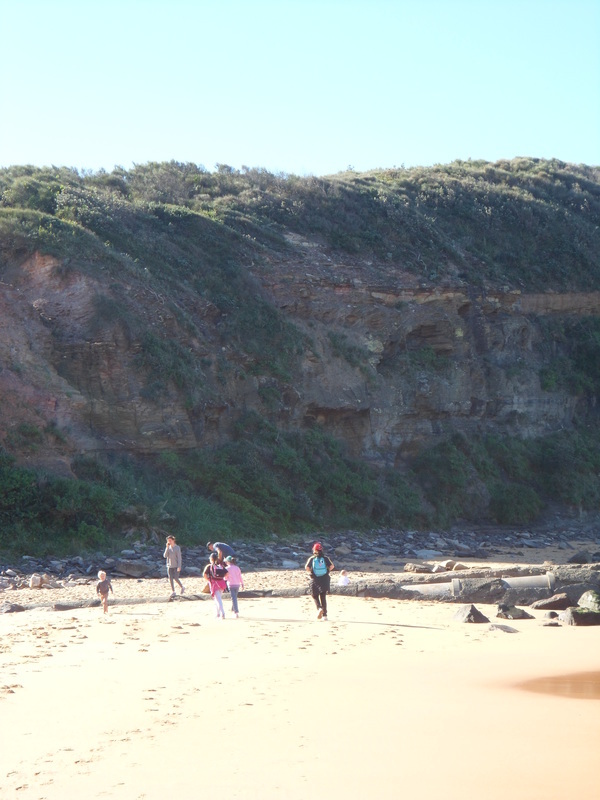 We went down some steps and close to Turimetta Beach we could see a cargo ship and a fishing boat. At the lookout there was a sun dial and Skipper reminded us of when we learnt about this before. We walked all the way to Warriewood headland but before then Skipper found a grave on the headland for Boof. 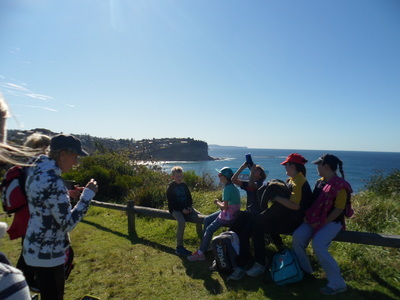 When we went down the headland we found a coffee shop at the Warriewood SLSC. The adults got a coffee for the walk. We headed down to Warriewood Beach, walked along the beach to get to the stairs. Skipper led us through some bush to get to the stairs because they were blocked. 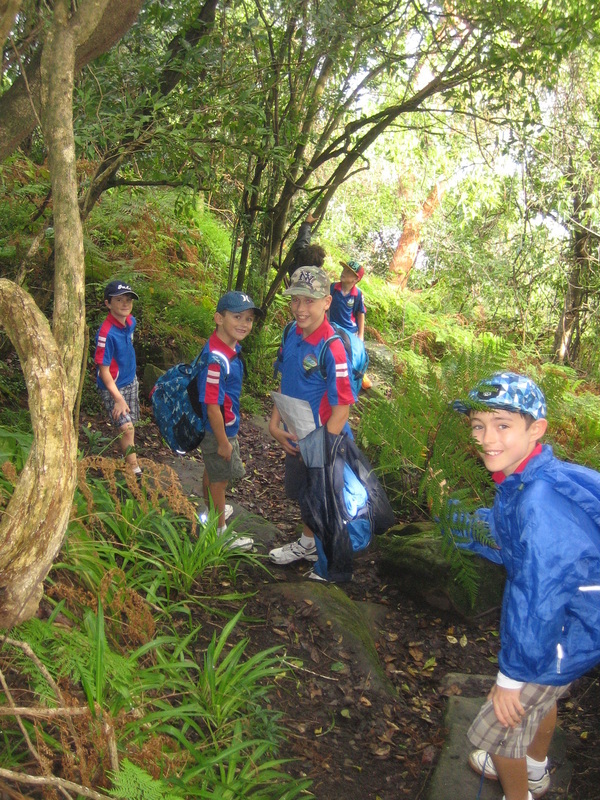 It was a very steep walk up the stairs and when we got up to the road, we went right and followed that for a while. Then we came across a dog park at Mona Vale to have morning tea. Ouma had cooked some cookies that we shared. When we were eating, a dog named Bob came over and tried to eat my cookie and so did a poodle. We didn’t know his name but he was cute. A man came over and asked if we could help him take a picture of his dog running with him, which we did. When we were taking the pictures, he and Coco were running but when Bob spotted them he chased after them and ended up in the picture too. 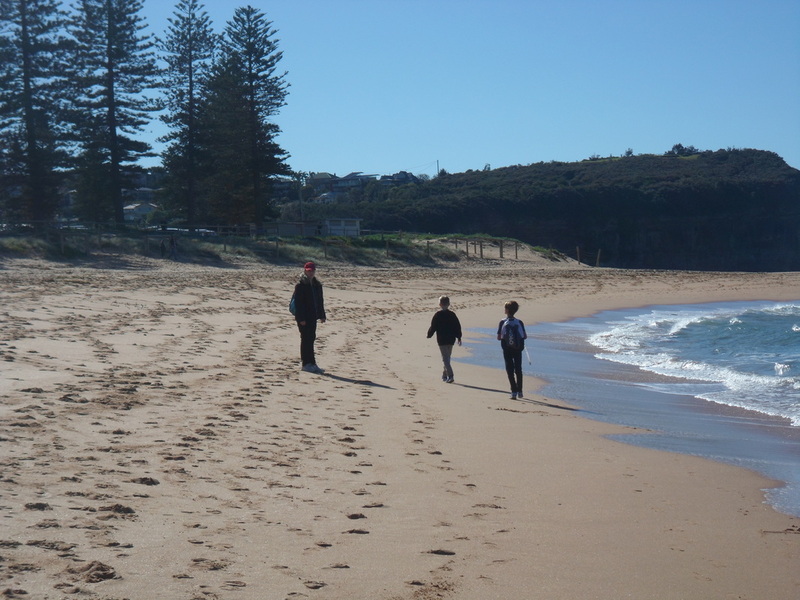 We walked down the park a bit when we came to stairs that led down to Mona Vale beach. We walked the whole beach. We noticed that there were some fences down from the recent storms. Erin was picking up lots of shells and Luca and I were skipping pebbles on the water. When we got to the other side of Mona Vale beach, we had to walk up 182 steps (Erin counted them). 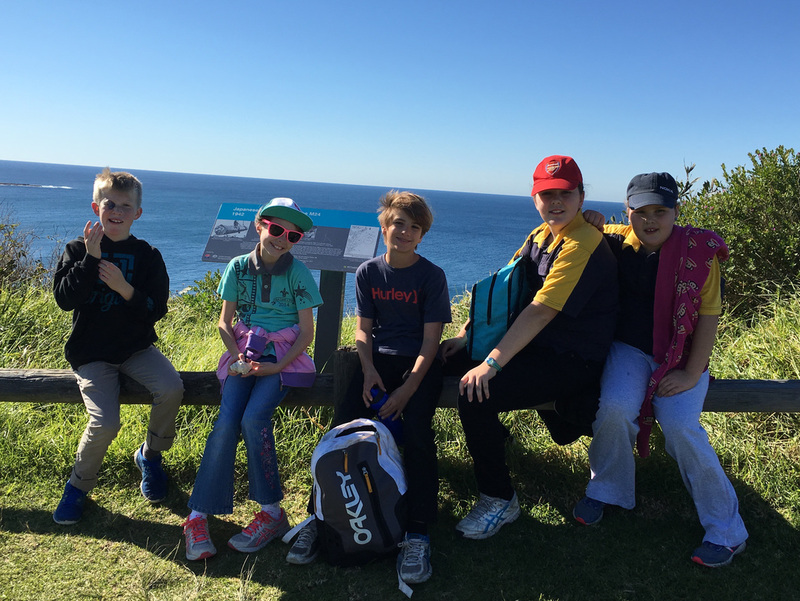 At the end of the walk when we got to the top of Mona Vale headland, we found a sign about the Japanese midget submarine that is now a protected site, which is their tomb. After talking about the submarine we played with another dog called PJ, that was incredibly cute and we played fetch with him and we rolled down the grassy hill. 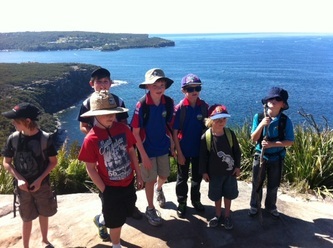 We left the headland about 12:30pm for home. 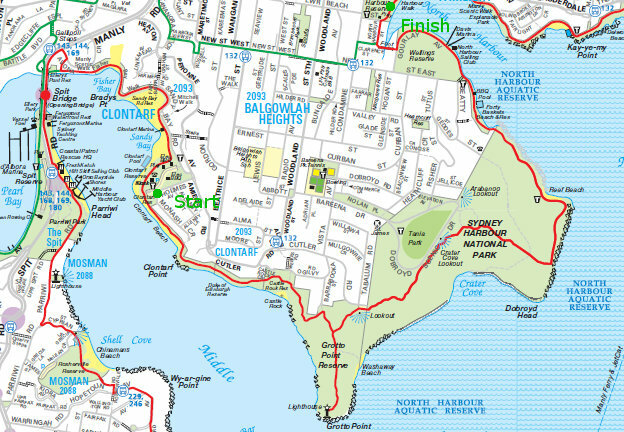 On Saturday the 12th of April, we walked from Athol Hall near Taronga Zoo to Chowder Bay it took us about 2 hours and 15 minutes. Surprisingly it rained on and off all afternoon we got a little bit wet but we had a lot of fun in the rain and thankfully we brought our raincoats. 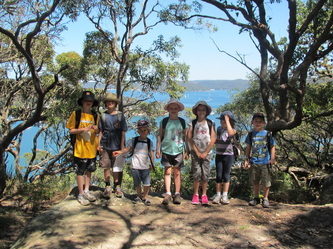 On the walk there were 6 kids in total and 3 mums and 3 dads. 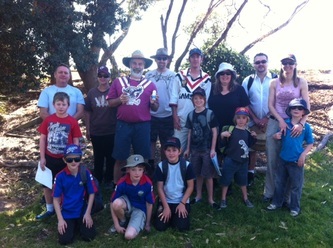 The people who came on the walk were Ryan and his mum, James, Frankie and his mum, Morgan and his dad, Skipper, Me and my dad and Luke and his mum. 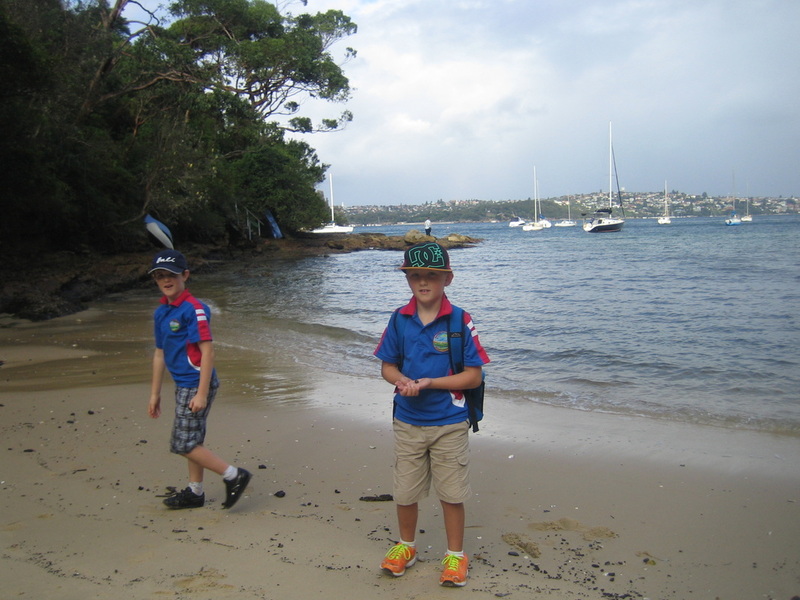 On the way we saw Bradleys Head, Chowder Bay, Taylors Bay and Clifton Gardens. We stopped at Taylor’s Bay to have a break, a snack and talk. 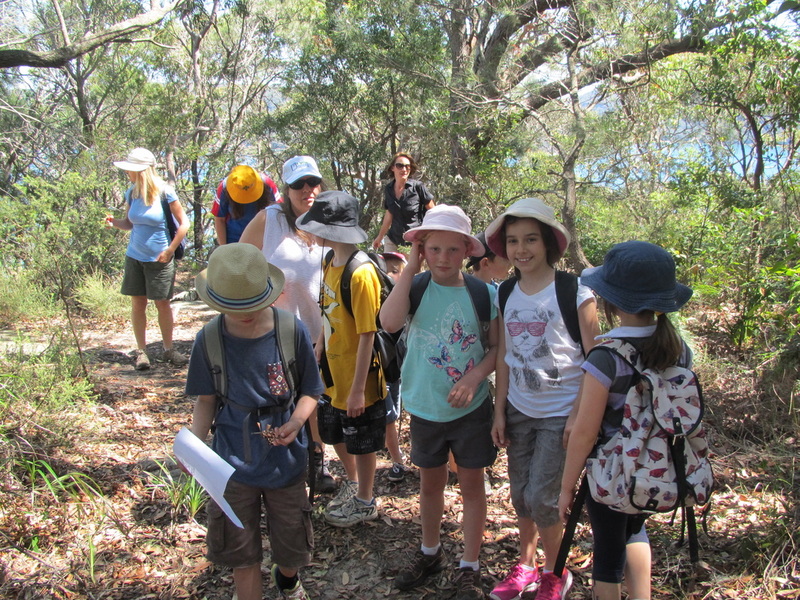 While we were walking we saw a bush turkey, looks to me that Frankie wanted to go off and adventure with it. We had some stops along the way to look where we were. 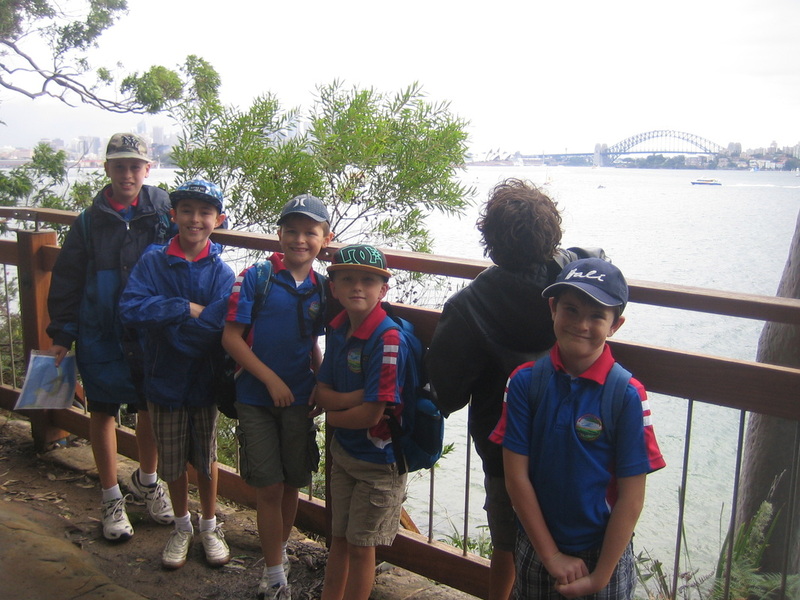 At the end we were heading to a cafe called Bacino bar my dad called them and they said it closed at 5:00 when we arrived they were closed my dad checked his phone and he called Mosman instead of Chowder Bay so we ended up not going. I thought this was really fun and happy that everyone came. 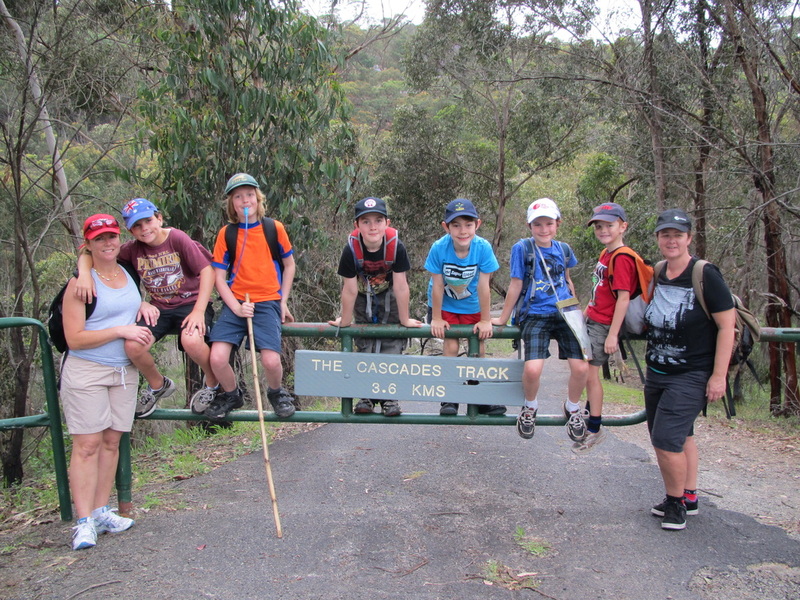 If I was in the ‘X Walker’ and I was a judge I would give this 4 stars out of 5.
Who came: Ethan, Patrick, Ethan, Jamie, Skipper, Colin, Martin, Malcom, Lynda, Ann, Jamie’s Dad, Jessie, Jarrod and Maggi. 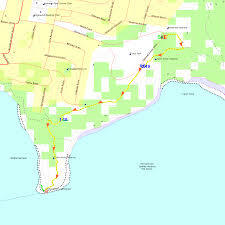 Where: We met at Tania Park playground at 9:45 and Started on our 2 hour walk to Grotto point lighthouse. 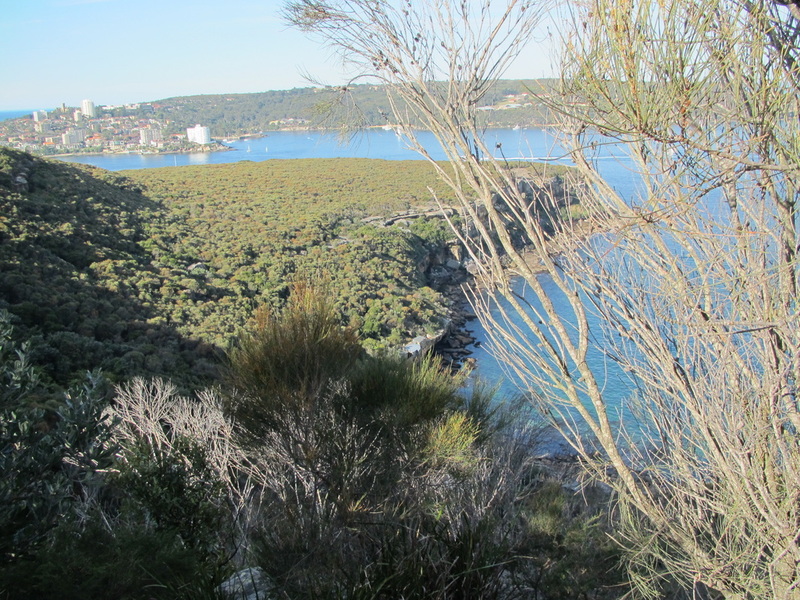 What we saw: Great views of manly wharf and North Head, along the track we also saw views of North and South head and Balmoral beach. 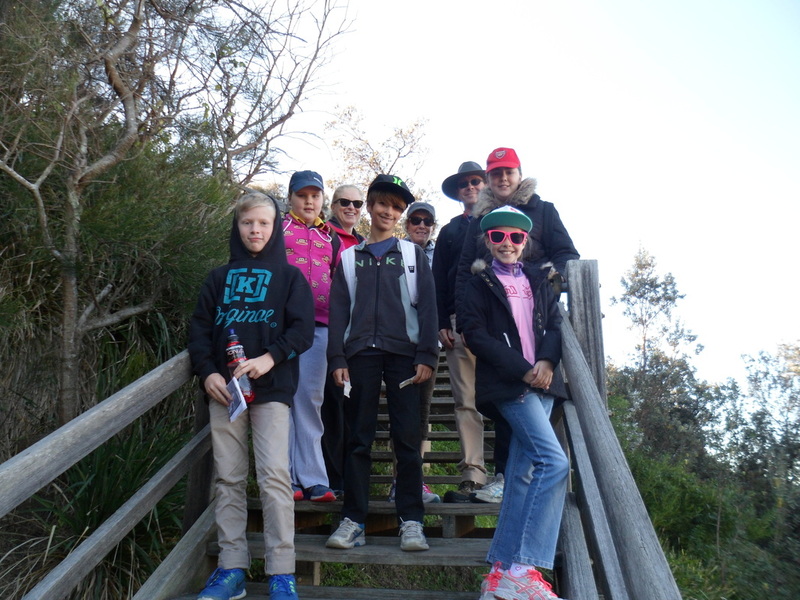 We also off to the side we saw 6 Aboriginal carvings with signs and a lizard overlooking the Harbor warming it’s self on a rock. 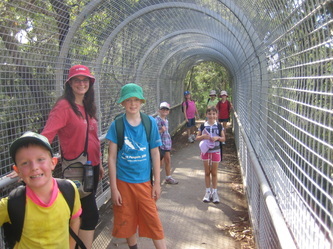 It was a great walk for me and we were glad to get back because it was a hot day. A planned walk to Barrenjoey Lighthouse was changed due to a bushfire there the previous afternoon. 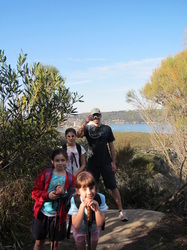 Instead we quickly went to Plan B - McKay Reserve at Palm Beach. On the weekend Ashleigh and I led our walk for the Grey Wolf award. Then we went to start our walk but there had been a fire the day before. 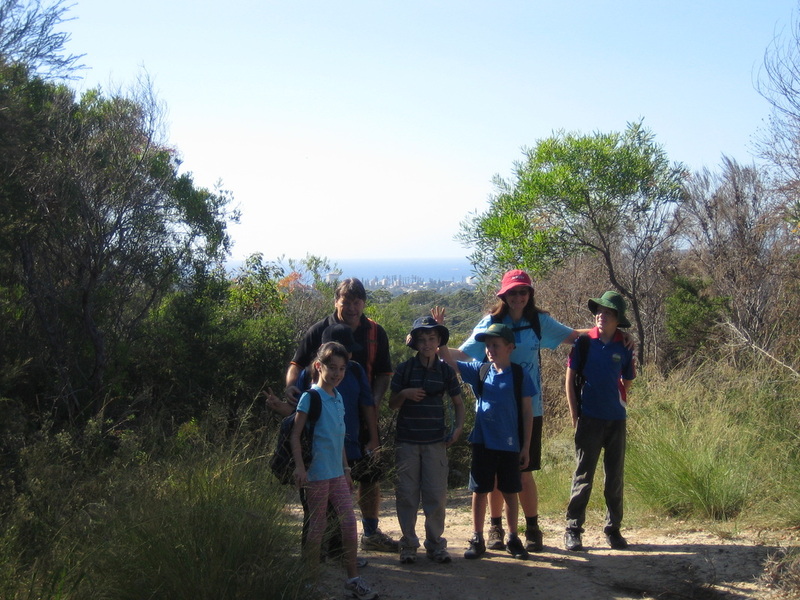 So we had to drive down to Ebor Rd for our different walk area. Next we went on the different track. At first we were heading in the right direction but we lost track for a little while but we found our way again. 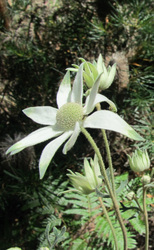 After that we saw the flannel flower and an orange flower that looked like a butterfly we also found 2 lorikeets in the hollow part of the tree. While we waited we had a snack. Then we kept going. 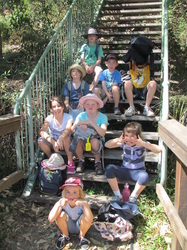 Finally we got to the steps. Few finally it was down hill. 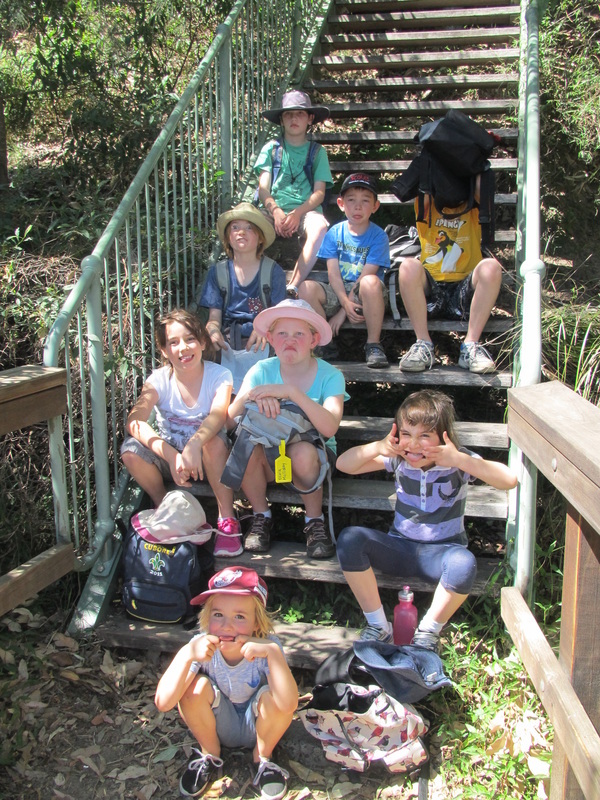 When we got to the bottom of the steps we had finally finished our walk!!! On Sunday 29th September 2013, Jamie & I did our Grey Wolf walk. Besides us there was also Olivia H, Lucas, Dylan, Chris, Jesse (Joey) and Charlotte (Joey) plus various parents and leaders Rikki and Skipper. 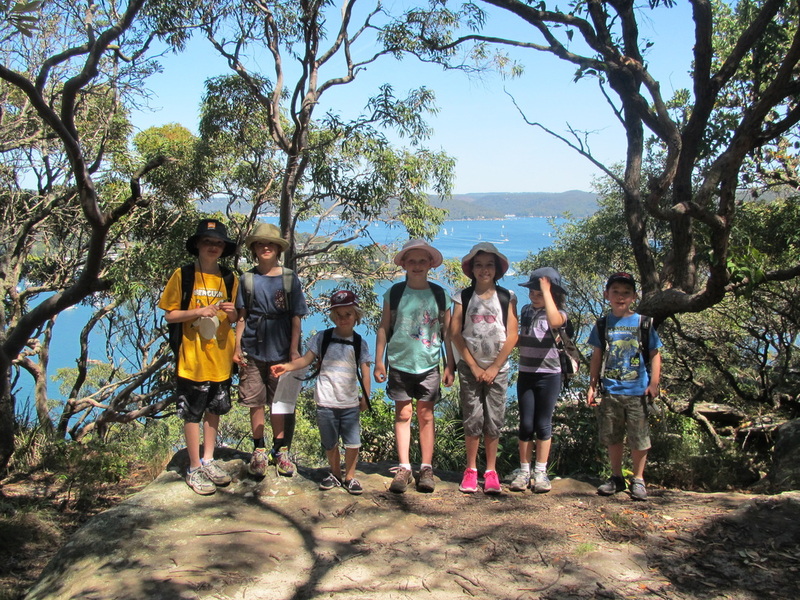 There had been a bushfire right near Barrenjoey Lighthouse the night before, so when we all arrived Skipper spoke to the police, then the police declared the walk unsafe. 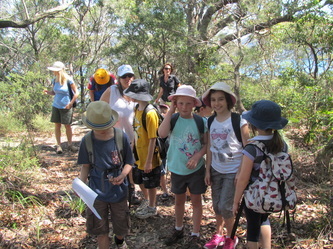 So then we referred to plan B, which was where we all went to McKay Reserve and did a bush walk there. Obviously that meant that Jamie and I had to do our walk together. 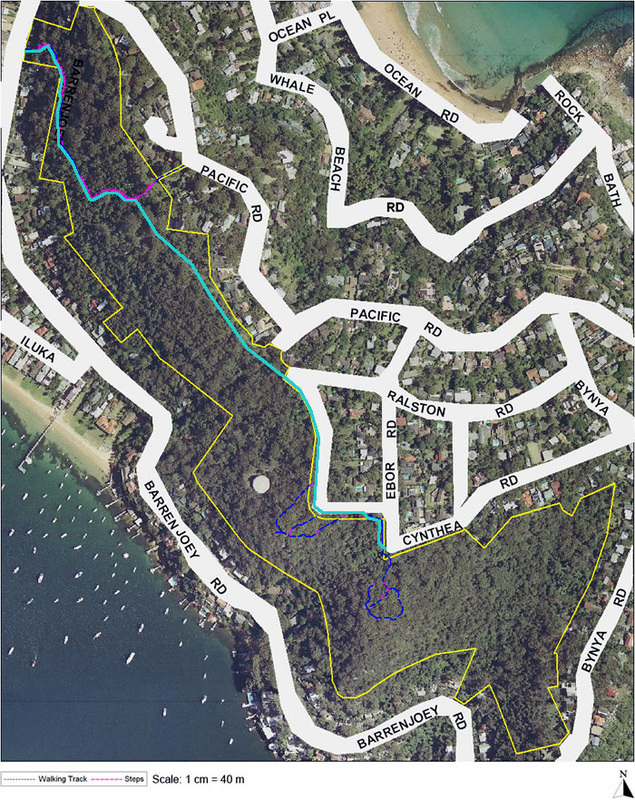 When we had all finally got into our cars and found the way up to McKay Reserve, it had gotten to 11:00am and the walk had been meant to start at 10:00am! So after that we finally started our walk. Sometimes we would find that we had veered off the track, and often had to retrace our steps. So then we agreed to start from a different point. That worked out well, so we only had to retrace our steps a couple more times until we finally got onto the track. About half way through the walk, we stopped and had our snacks. We walked on for about 5 minutes until we reached the steps. 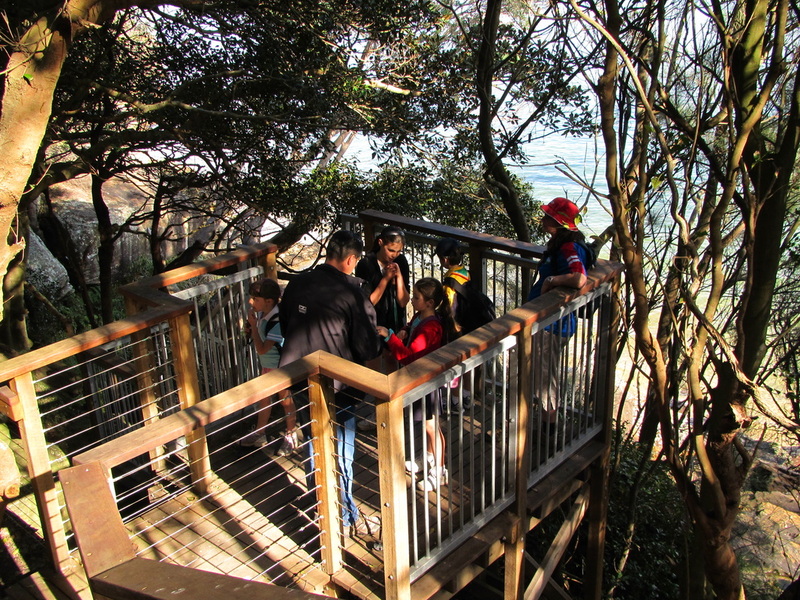 The steps were steep to walk down but I imagine even more steep to walk up. Nevertheless we reached the bottom no one had had any serious falls. Finally we had finished the walk!!!!! After that though, we had to wait for about 10 minutes until one of the leaders had driven everybody up to their cars. Then we went home after a long day of happy walking!!! 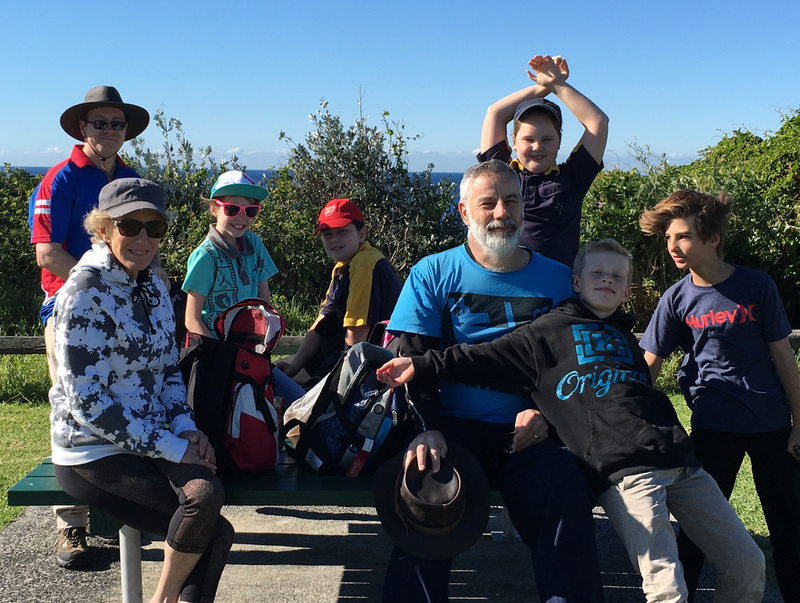 On Sunday the 4th of December I went to Richard Healey Reserve with Nathan, Lincoln, Benny, Patrick, Mickey, Jarrod, Skipper, my dad Stuart and Jarrod’s mum. It was sunny at the start of the day. 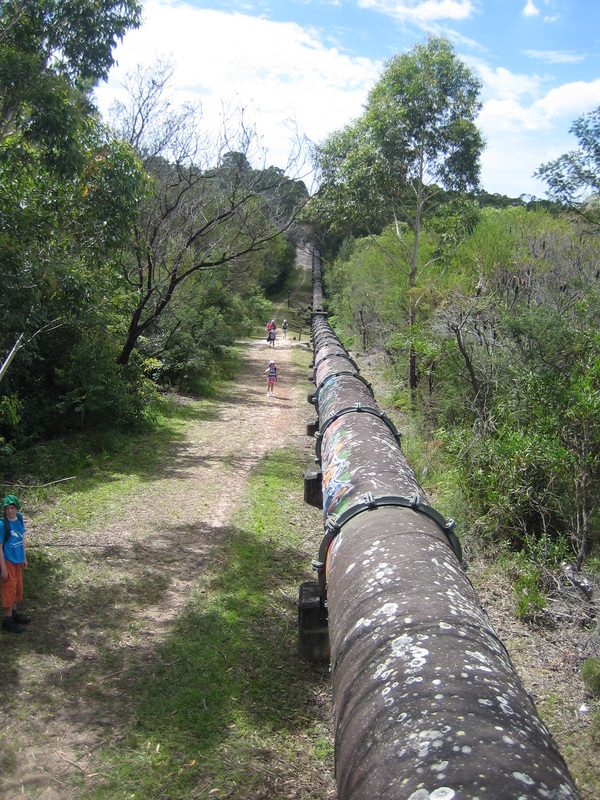 The walk begins at a pipe line at Richard Healey Reserve and ends at stone parade. 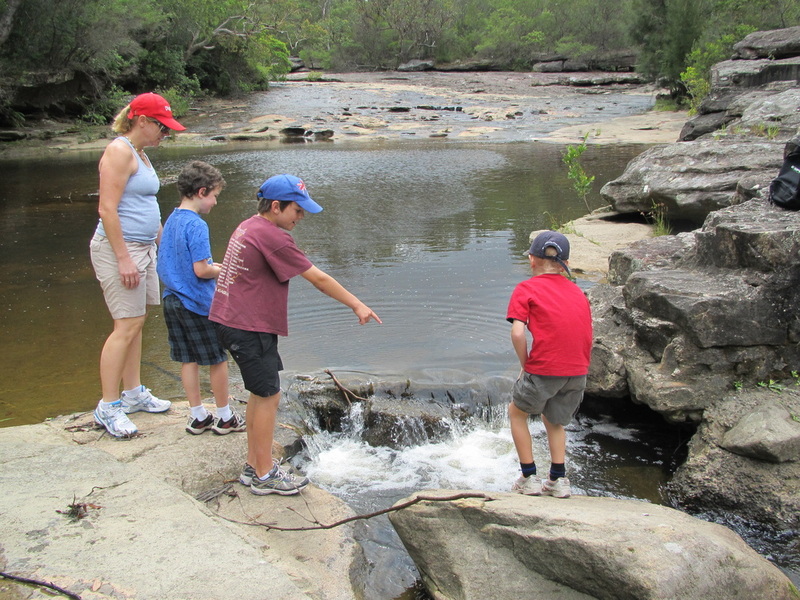 We go past steeping stones which are stones in the water to help you cross the river. We walk up past steeping stones and walk up to Cascades to have a brake there. 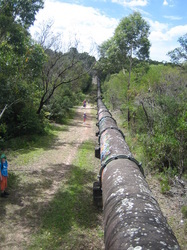 We walked along the pipe line and down a huge hill. We walked about a quarter of the way and Lincoln caught up with us he was running a bit late. We walked up to steeping stones with Lincoln and then up to Cascades. 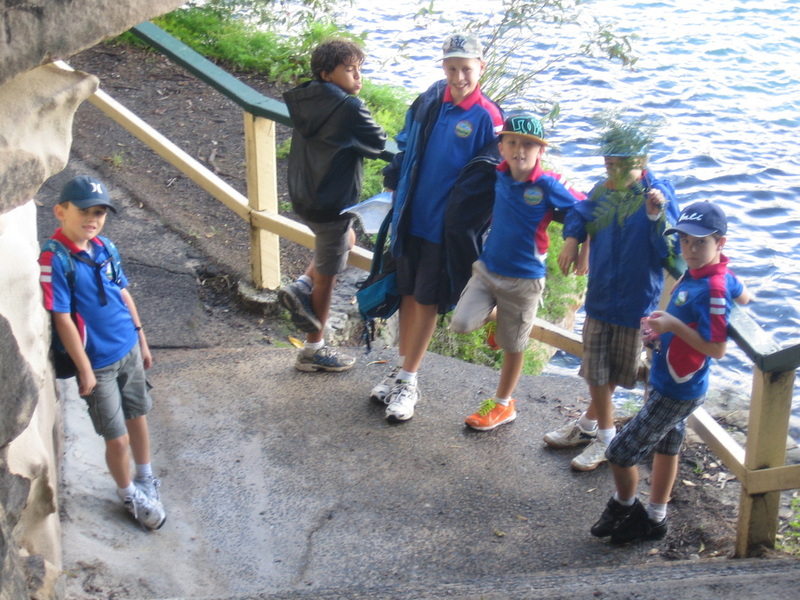 We all had a snack and raced boats in the water fall they were sticks. After we raced boats we started walking to the end, we had one km to go till we finish the walk. 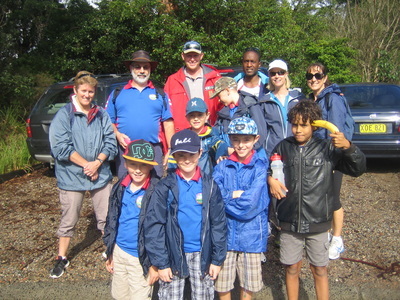 We finished our walk and we were waiting for our cars, it stated to rain, it was a great walk. 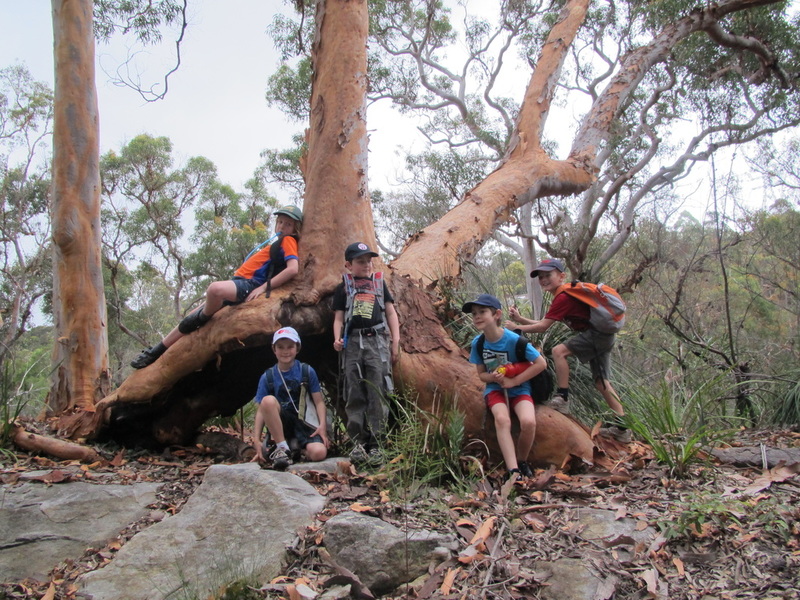 On Sunday, 13 March 2010 I was joined on my Grey Wolf hike by Skipper, Rikki, Daniel, Benny, Melanie, Mitchell and my dad - scout leader Wurran. 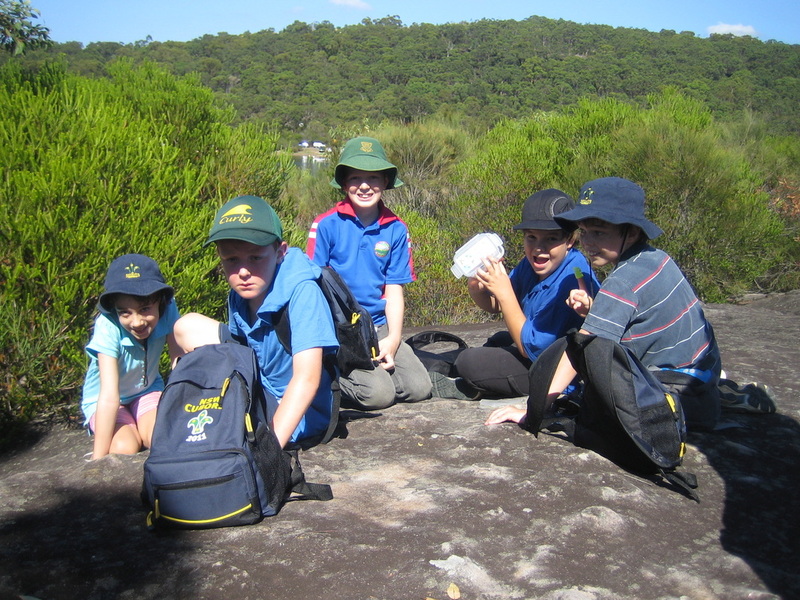 Everyone needed to wear a t-shirt with collar, long pants, enclosed shoes and hat and bring a Day Pack, First aid kit, drinking water in plastic bottle, a Snack eg trail mix, Muesli bar or fruit and a small toy or similar to swap at the geo gaches. My hike started at the tennis courts located at Allambie Heights Oval. We followed the fire trail for about 300m and linked with the Circuit track, stopping to have a snack and cool drink before visiting "Lena's toy box" geo cache. 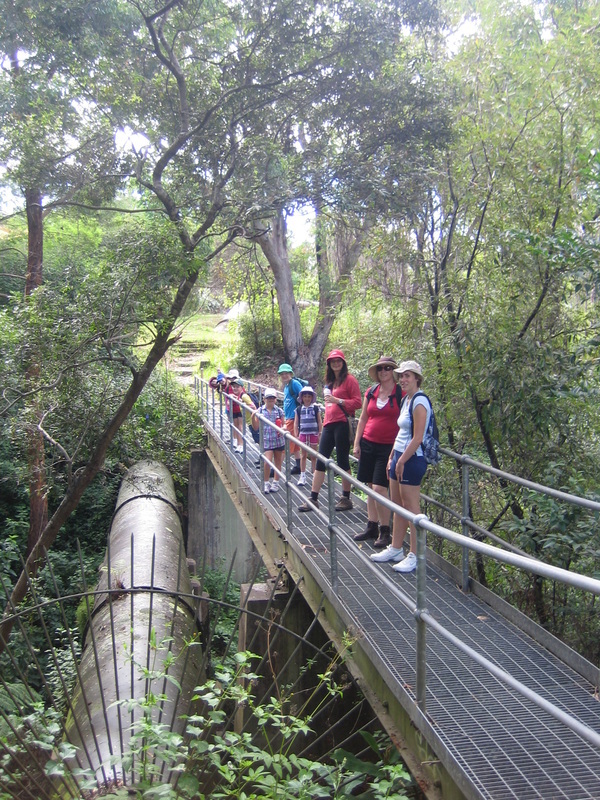 From here we continued on the circuit track across the Manly Dam wall. 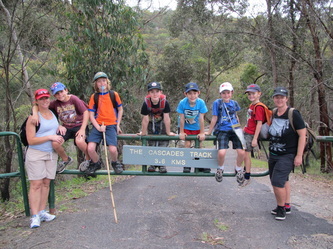 After another quick stop for a drink and chocolate we reached another geo cache called 'Lock Out'. 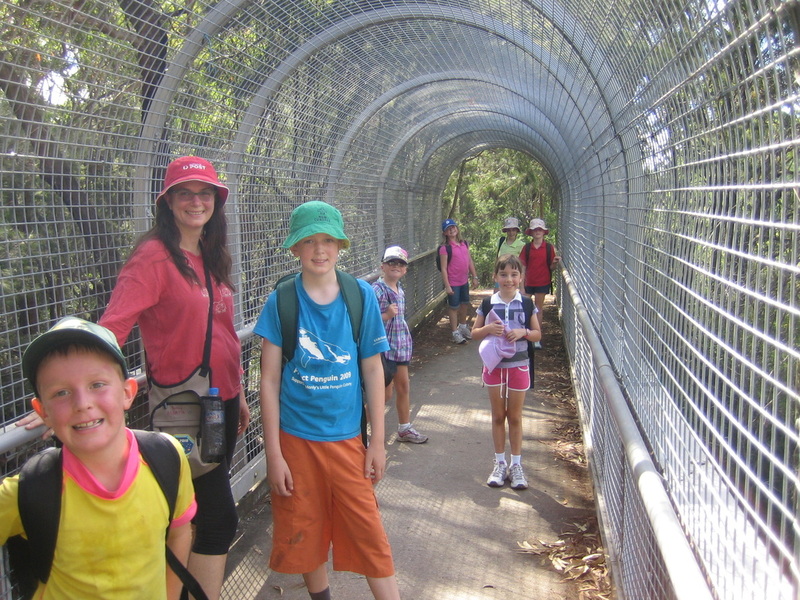 From there we returned following the same route along the circuit track and fire trail to finish back at Allambie Heights Oval Tennis Courts. 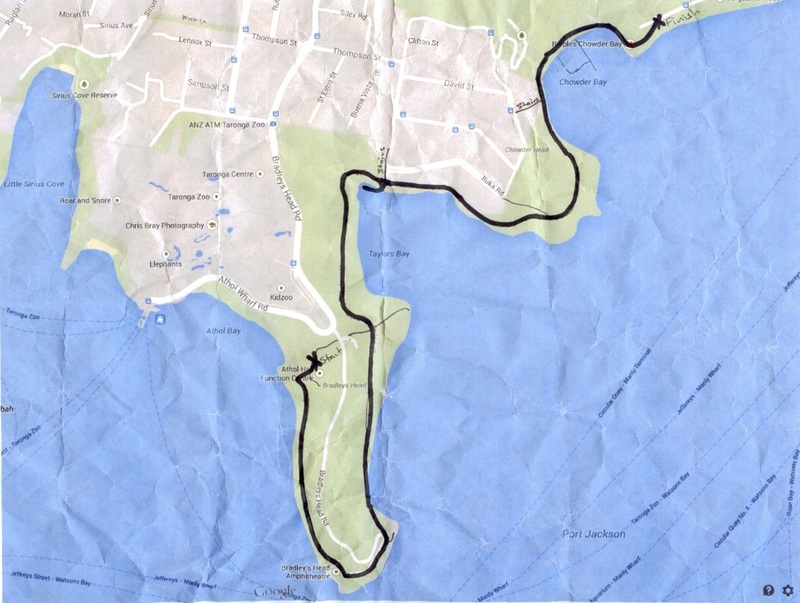 It took 3 hrs and covered a distance of approx 6 km. 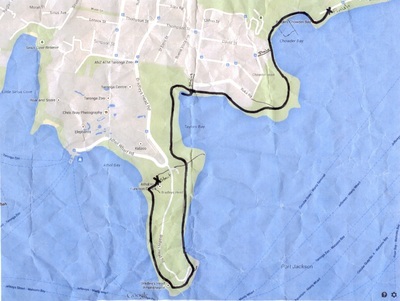 The map attached shows the route we took. WHERE: along the water supply pipeline track. 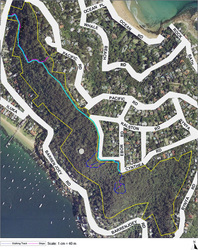 We started in Belrose at John Oxley drive and finished at Warringah Rd Beacon Hill. 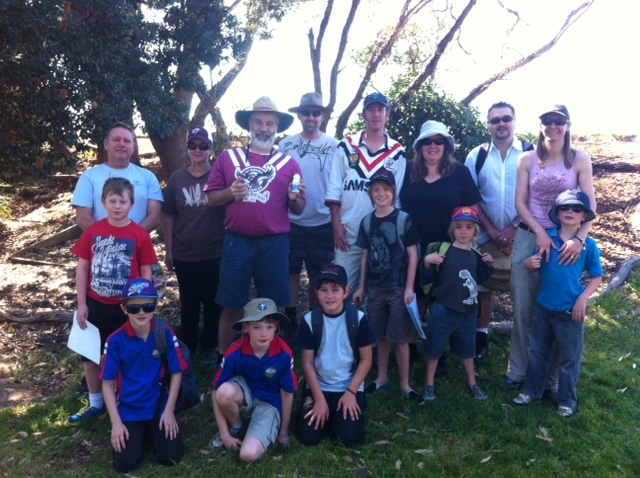 WHO CAME: Renee, Megan, Aurelie, Benny, Ashleigh, Daniel, Skipper and Rickki. The walk went for three hours and was about 7 km in distance. There is an access track beside the pipe for trucks which might be needed to fix the pipe. The pipe goes through the bush, behind houses, and under roads. About half way we stopped at the aquatic centre for a break. I bought everyone an ice-cream. When we got back to Rickki's house, we went for a swim. 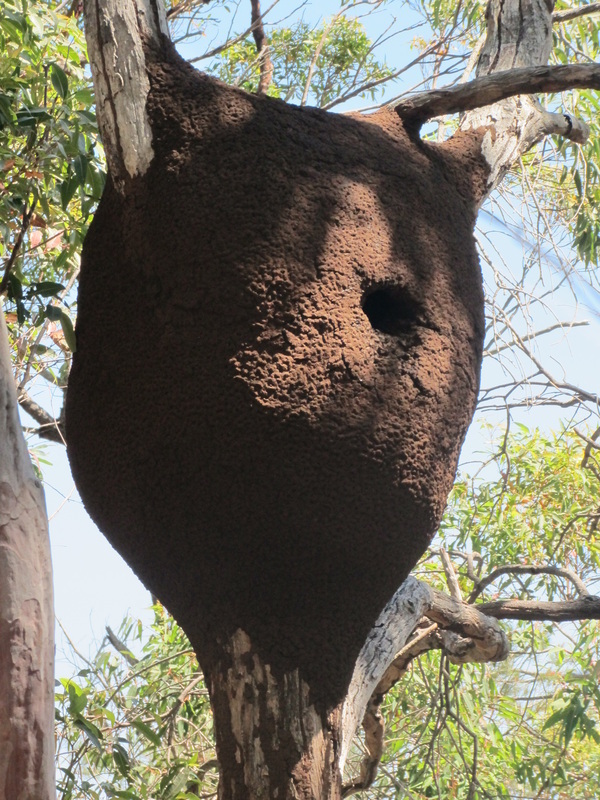 It was very hot and there were lots of tall, steep hills.